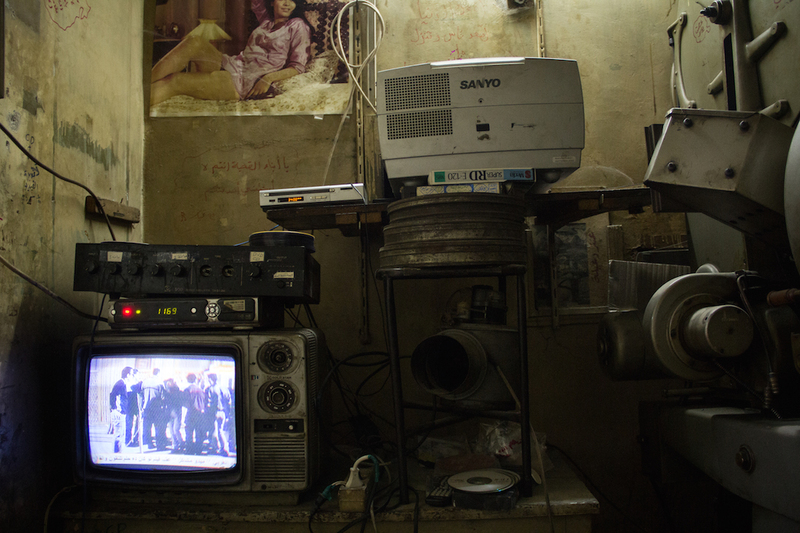 Photographer Hussam Da’na captured the precarious state of the old film theaters in the center of the Jordanian capital. 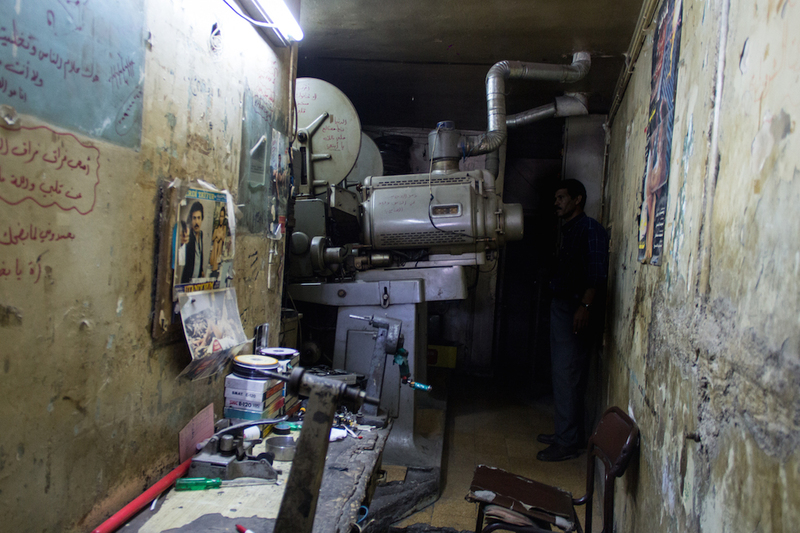 Still a small village half a century ago, the Jordanian city of Amman was transformed into the country’s sprawling capital in a matter of decades. 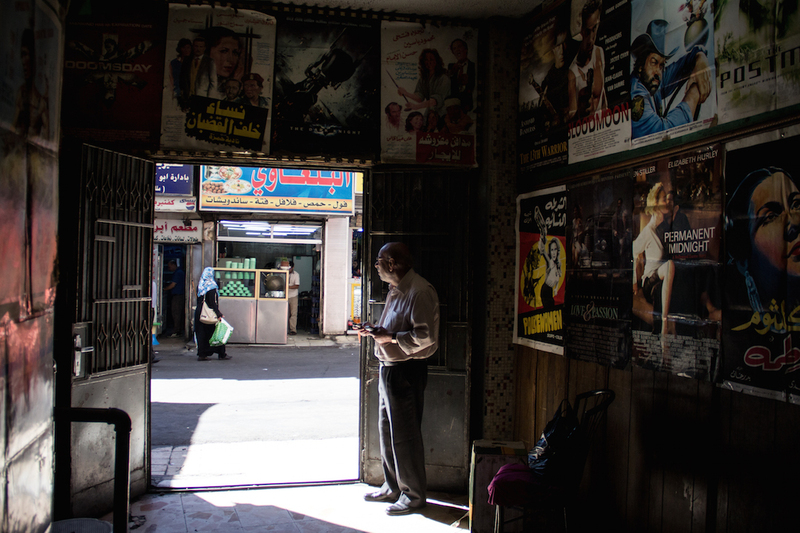 While not as well-known as its close-by sister capitals Beirut or Cairo, Amman offers a peaceful retreat in a tumultuous region. 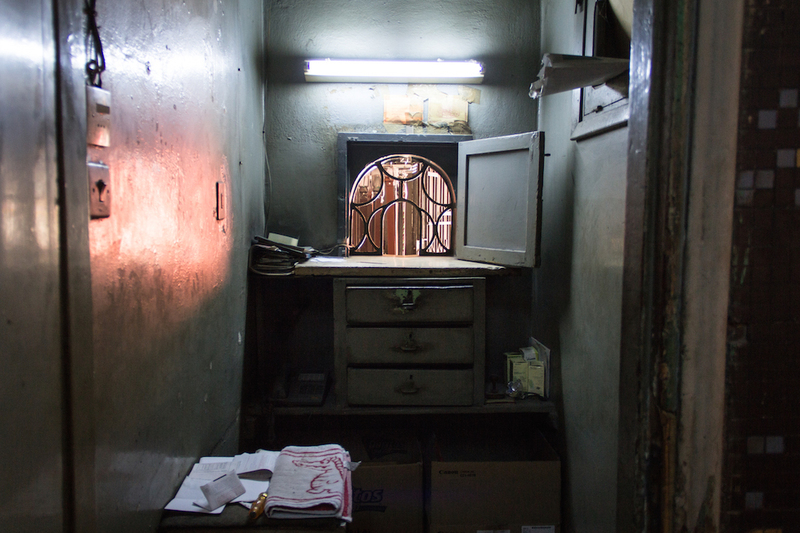 The Ammanis started to build their new capital’s central district in the 50s and 60s, replete with all the institutions a capital is supposed to have. 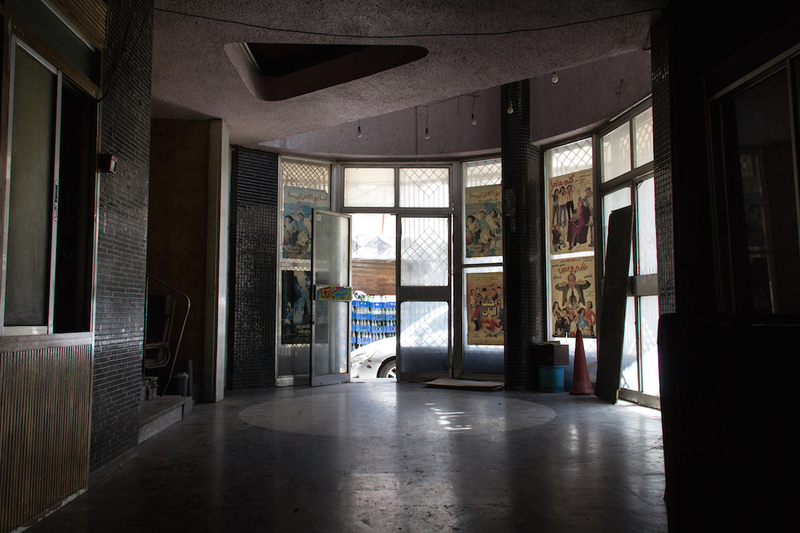 Besides various ministries and other governmental buildings, a string of cinemas were built, all located in the relatively small downtown area. 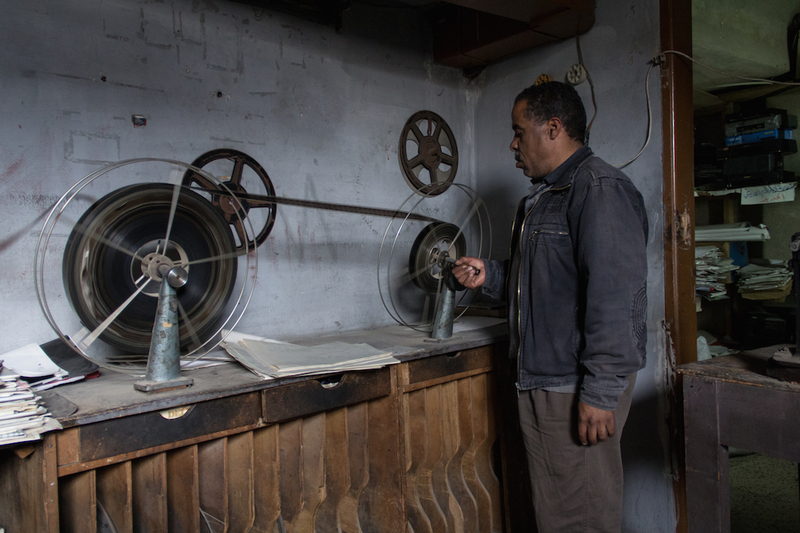 Showing major film productions from the Arab world as well as Hollywood, these cinemas were popular from the start and continued to thrive for at least the first few decades in which they operated. 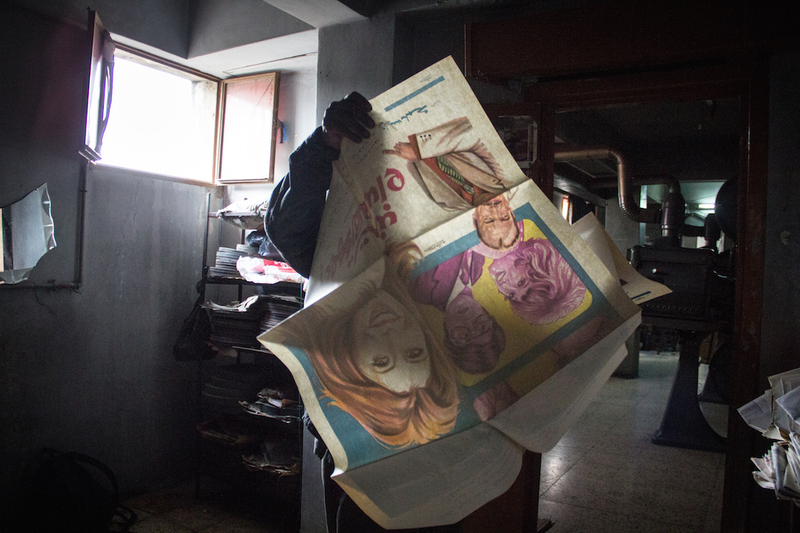 Over time, Amman expanded and the city’s elite left the centre for the lush, new suburbs. 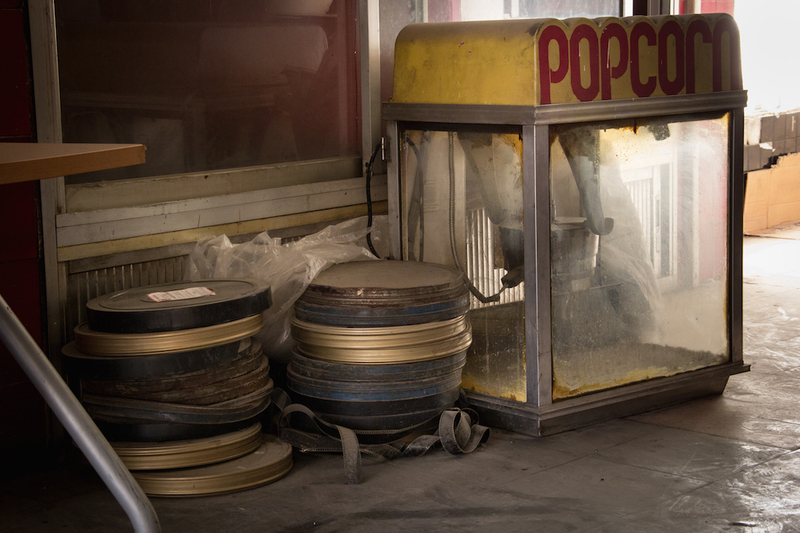 At the same time, new, swanky cinemas in glistening suburban shopping malls lured cinema-goers away from the now decaying downtown, whose cinemas fast became empty and dilapidated, with many of these once famous establishments closing their doors forever. 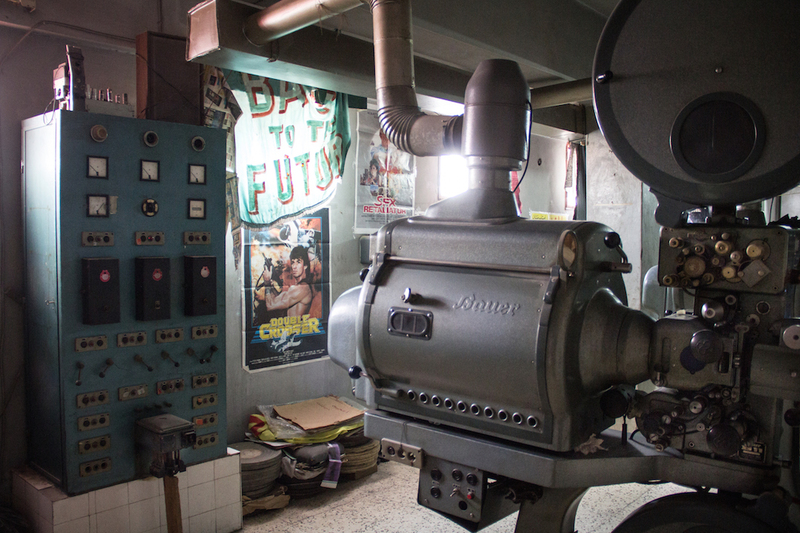 The Ammani photographer and graphic designer Hussam Da’na, himself a film enthusiast, recently became enthralled with these forgotten cinemas. 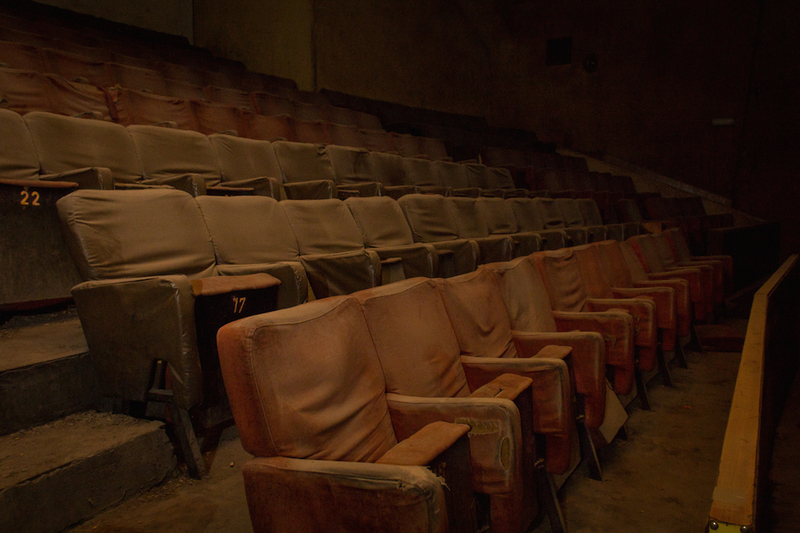 Spurred on by the recollection of his friend’s grandfather, who worked as the manager of one of the cinemas during their heyday, Da’na has sought to capture the derelict theaters with his camera. 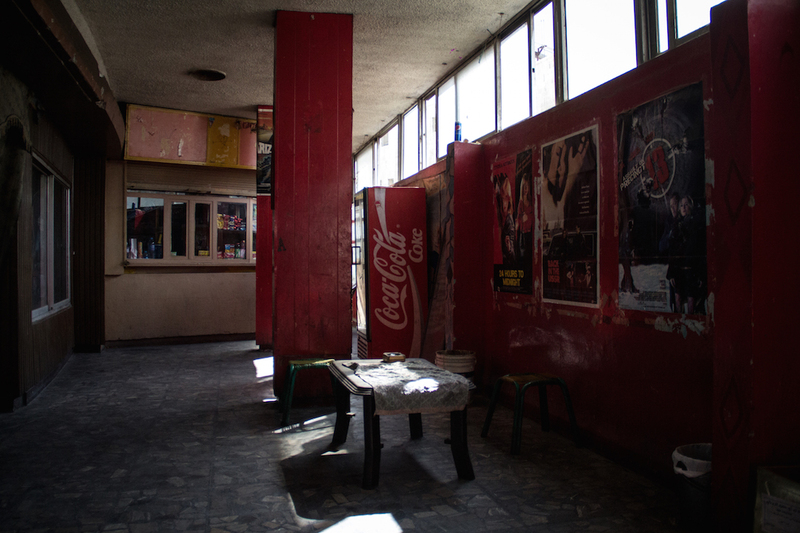 The photos below give us an idea of the exteriors and interiors of the Filasteen, Al-Hamra and Al-Hussein cinemas in central Amman. 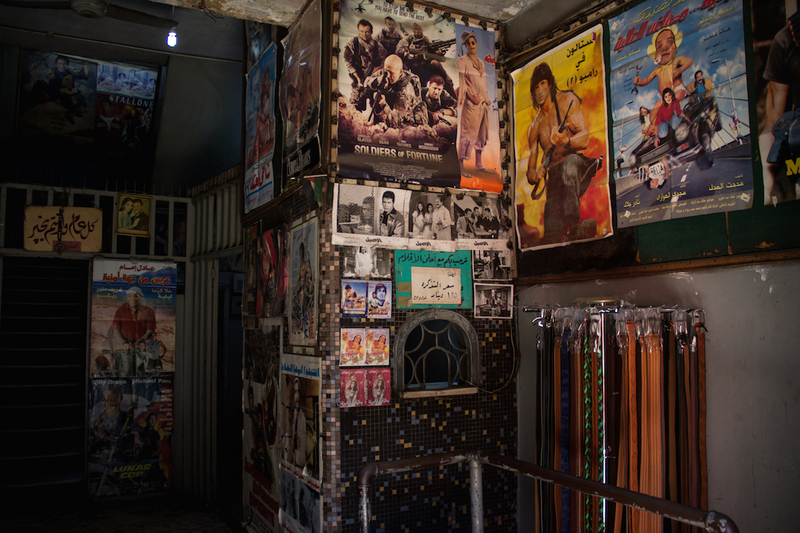 Whereas Al-Hussein used to attract the higher classes with major blockbusters, the Al-Hamra catered to the local boys with karate and action films, while, Filasteen (Palestine in Arabic) was frequented by a more diverse public. 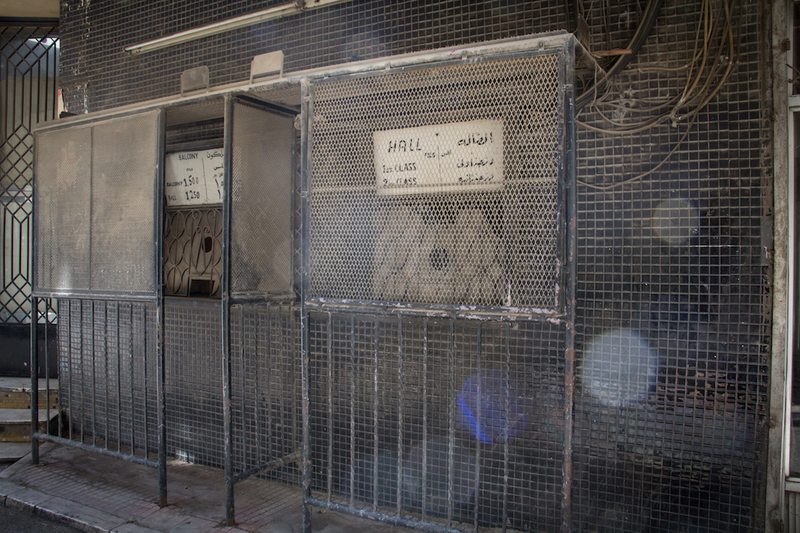 Although Hussein is officially closed nowadays, the Failed Architecture team had the opportunity to briefly visit it during its Amman workshop in early 2015. 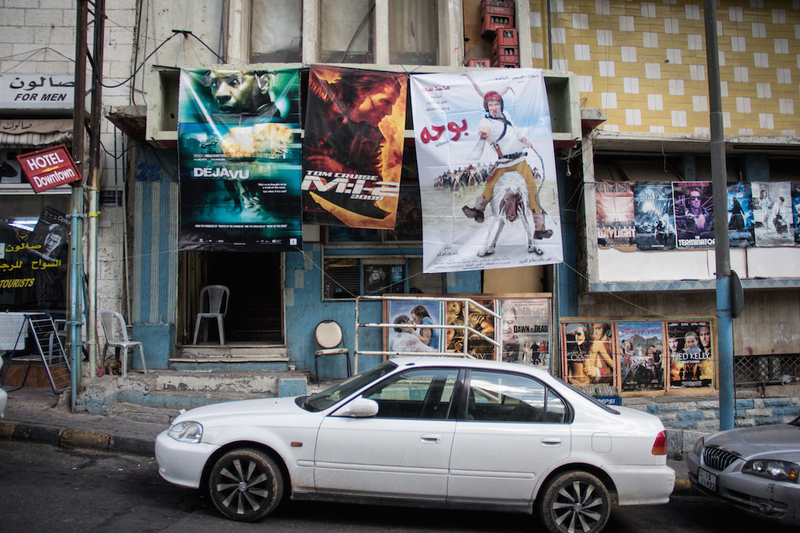 Filasteen and Al-Hamra are still operating, occasionally screening Arab films, and, rumour has it, also often hosting illicit screenings of pornographic material. 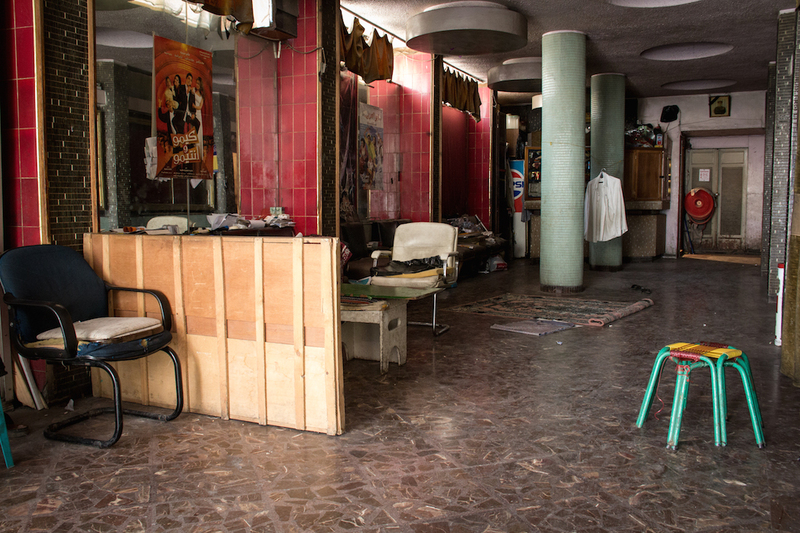 These days, young creatives are rediscovering the rather dilapidated areas of the downtown area which is, notwithstanding some ancient ruins, the most historic part of the city. 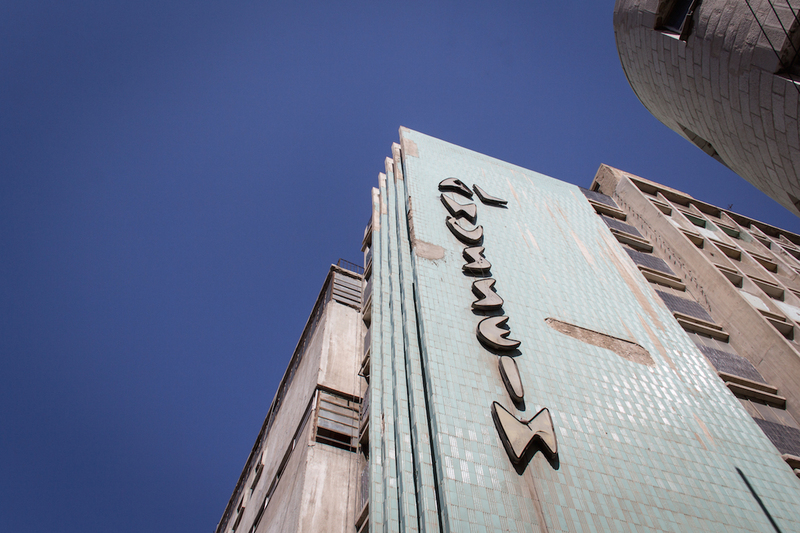 This renewed interest in the city’s past is luring a new crowd to the area, resulting in a wave of new cafés and restaurants. 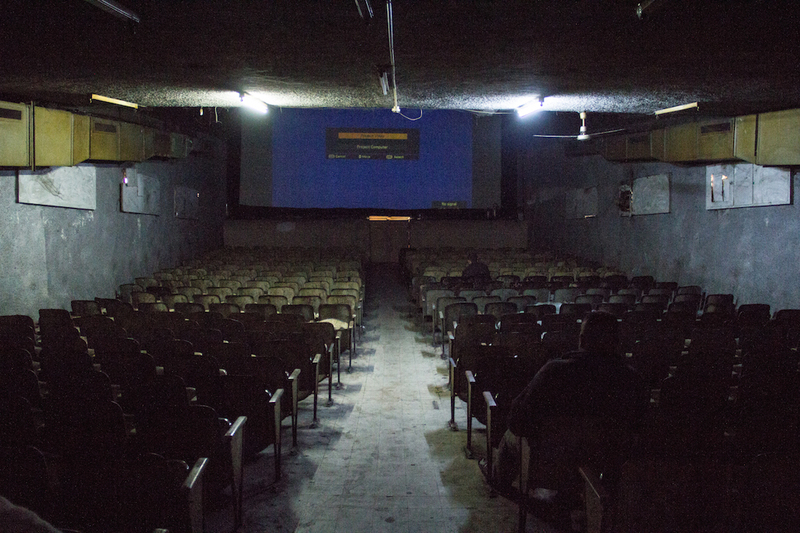 Hopefully, this sudden dynamic might also give Amman’s forgotten cinemas a chance to rise again. 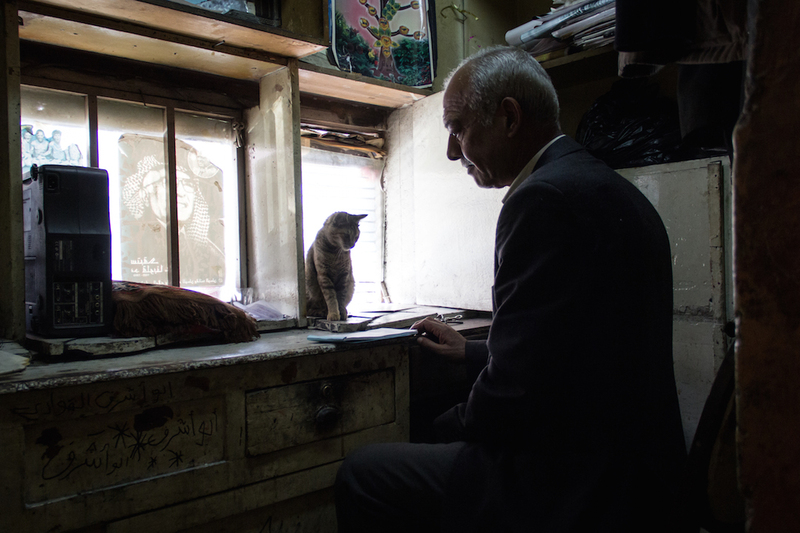 All photos by Hussam Da’na, originally published on 7iber.